The Environmental Protection Agency’s indoor air quality report lists air quality as one of the top five environmental health risks because the air inside homes and businesses is two to five times more polluted than the air outdoors. 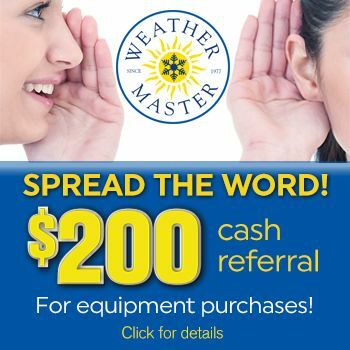 Since most people spend up to 90% of their time indoors, especially during summer months, Weather Master Heating and Air, a top local plumbing, heating and air conditioning company, wants everyone to be aware of how to reduce the particles, pollutants, and allergens that can cause respiratory problems and aggravate allergies. The average person breathes in about 1,120,000,000 particles every day, including dust, molds, viruses, bacteria, and dander. The smallest of these are called respirable particles because they can be inhaled and lodge in the lungs, aggravating respiratory illnesses and allergies. Air purifiers take air filtration to the top level. Hill suggests an air purifier manufactured by Lennox. “For your money, the best whole-house air purifier on the market is the PureAir™ Purification System, which is over 95% percent effective at removing particles from the air.” For someone with allergies or respiratory issues, the initial cost of an air purifier is justified by the fact that it will remove almost all allergens from the air, up to 100 times as many particles as a standard air filter. Air filters come in many styles and levels of effectiveness. Pleated air filters are the most popular type of air filter for home use. Look for a filter with a MERV of around 11, which will capture about 90% of large particles that it comes into contact with; the MERV rating is more important than a brand name. “But remember, even the best filter will be ineffective if you don’t change it monthly,” cautions Hill. Air quality is an issue that affects everyone. A high-efficiency air filter is a good first line of defense against indoor air pollution. Additional steps should include air cleaners and purifiers, humidity control, and duct cleaning, especially for those homes with very young children, the elderly, or who face respiratory illness or allergies. If you are concerned with the quality of air in your home, contact a professional for an analysis of your needs.